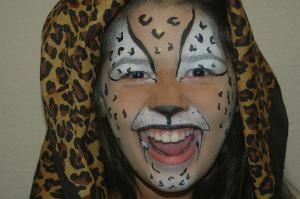 Adding fun and excitement to your next event with skilled and creative face and body painting, including airbrush tattoos, glitter tattoos and henna. Looking for the WOW factor for your event? Hypnotist JimmyG's MindPower Comedy Hypnosis Show Is Totally Clean, Interactive and AFFORDABLE Entertainment for Banquettes, Corporate Events, FundRaisers, Fairs, Festivals, Colleges, Universities, High Schools & Service Clubs. JIMMYG HAS SHARED THE STAGE WITH... Comedy Stage Hypnotist & MindPower Presentations Inc CEO James “JimmyG" Graham, C.Ht. has shared the same stage with A List superstars like Christie Brinkley, Charlie Sheen, Mark Walberg, Mel Gibson, John Travolta, Gene Simmons, Vanilla Ice, Bethany Frankell, Jay Abraham, George Ross, JT Foxx, Dr Nido Qubein and many more. TRUSTED BY MAJOR CORPORATIONS SUCH AS... Clients include Frito Lay, Motorola, Home Depot, CIBC, Bank of Montreal, Johnsonite Flooring, All Weather Seal Windows, BDO, RBC, Cisco, Armtech, Broadridge Financial and many many more. North America's Premier Hypnosis Show sells out quickly, so CALL NOW to discover if Hypnotist JimmyG's MindPower Comedy Hypnosis Show! is still available for your event. Call MindPower Presentations Now: Worldwide: *NOT DISPLAYED* Direct: *NOT DISPLAYED* Your Clean, Safe & AFFORDABLE Event Entertainment Solution.